I love-love the color of these coral Swarovski pearls. Such a fun shade! 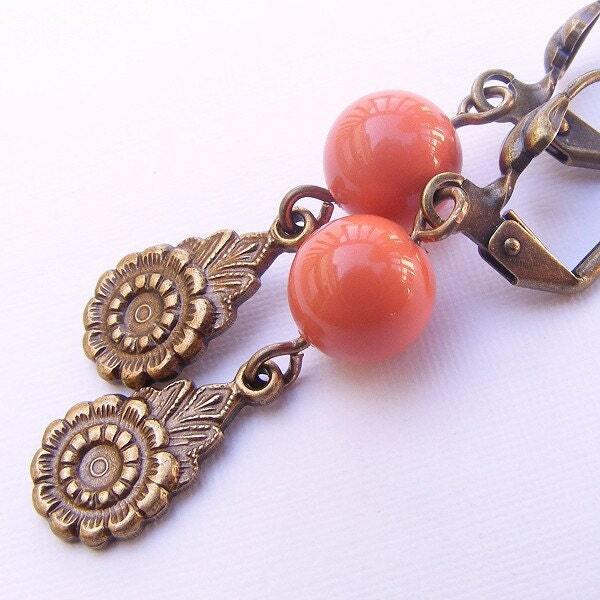 I paired them up with pretty antique brass drops in a floral motif. Great for dressing up or dressing down, and very lightweight. The wires are comfortable and secure antique brass leverbacks with a flower accent. These can be made in lots of other colors. Please convo me with your request. All earrings come packaged in a pretty gift box with ribbon.